The official press release issued by Board on Friday reads: "The results will be jointly announced by education department additional chief secretary RK Mahajan and Board chairman Anand Kishor at BSEB Headquarters in Patna." The evaluation of answer copies of Class X was started from Feb 21, 2019 at 136 evaluation centres in Bihar and it was concluded on Feb 28, 2019. The results to be announced after the board make sure that there will be no face loss after the declaration of results. The toppers of each stream (science, commerce and arts) were called at the BSEB office for physical verification, IQ test and their hand-writing were matched with their respective answer-copies by the experts before finalising the topper's list. The early declaration of Class X results will help the aspiring candidates to get admission in institutions of national repute including Delhi and other states, the favourite for Bihari students. According to sources at BSEB, thousands of students miss chance for admissions due to delay in publication of Class X results but this time they will be ready with the results when the admission session will begin in premiere institutes. The parents of the candidates who were apprehensive that the results will get delayed due to Lok Sabha elections, now heaving sigh of relief with the announcement of dates of Class X results. The top five rank holders of each stream would get the scholarship under Desh Ratan Dr Rajendra Prasad Medha Chatravriti and would also get the cash prize and other incentives. Around 16, 20,371 students had written their examination at 1339 centers across the state. In state capital alone 71,313 students of all the streams wrote exams at 82 different examination centers. Around 573 examination centers had been allotted only for female examinees across the state. Practical examinations were held in January. 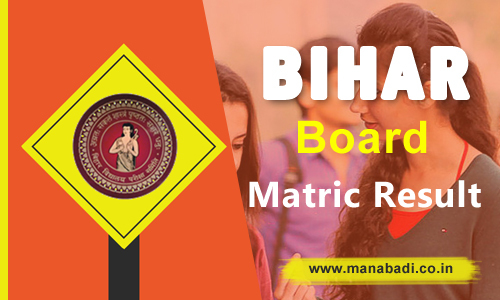 The Intermediate exams for Bihar Secondary Examination Board (BSEB) were conducted from February 6 to 16, 2019 for all Arts, commerce, Science and vocational streams. The exams were conducted in two different shifts morning as well as afternoon. This year the students, who appeared for the Bihar School Examination Board (BSEB), did not require to write their names, roll number, registration number, year of examination and subject code on the answer-sheets as these information were already there in their answer-sheets.